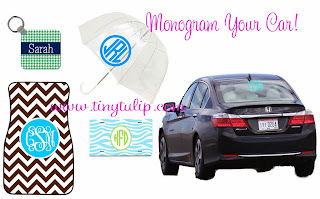 Preppy Monogram Style: Monogram Your Car! Sick of your car being so much like everyone else's? Tiny Tulip has the solution! Check out these adorable monogrammed car accessories that you can customize however you want!